According to the study “Asia Cured-In-Place Pipe (CIPP) Industry Situation and Prospects Research report”, the felt tube can be inserted using water or air pressure that is generated using pressure vessels, scaffolds or a chip unit. 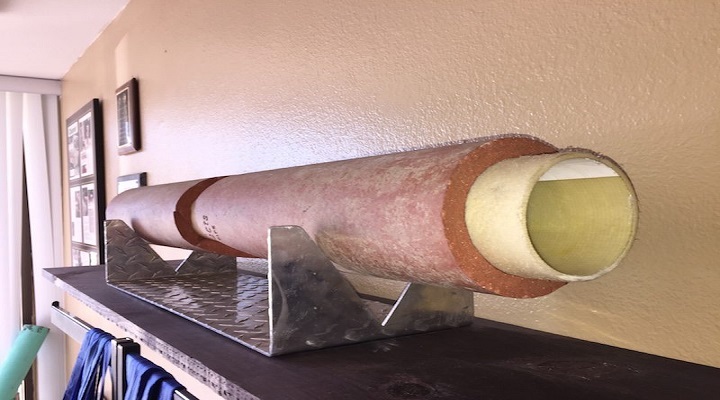 Hot water, UV light, ambient cured or steam is used to cure the resin and form a tight-fitting, joint-less and corrosion-resistant replacement pipe. CIPP is operated using robotically controlled cutting devices based on the pipe dimensions. The service lateral connections are sealed with specially designed CIPP materials such as polyester resin. It was observed that there are multiple ways to prevent fluids spillage such as water swelling material (hydrophilic), lining of the entire connection and host pipe with a continuous repair (YT repair) gaskets, and point repairs placed at the ends of the host pipe and at the lateral connections. All the CIPP rehabilitated pipes are monitored using closed-circuit television cameras and focused electrode leak location (FELL) equipment is used to test the permeability of liners, service reinstatements, and manhole connections. A cured-in-place pipe (CIPP) is one of the many trenchless technology rehabilitation methods used to repair the already existing pipelines. CIPP is a jointless, seamless, pipe-within-a-pipe with the capability to rehabilitate pipes arranged according to various required diameters. CIPP is most widely used trenchless rehabilitation method for sewer pipelines and chemical pipelines. The resin-saturated felt tube is made of polyester or fibreglass cloth or any other materials suitable for resin impregnation which is inserted or pulled into a damaged pipe. This process is carried out from the upstream access point such as manhole or excavation. Risk is involved while inserting from the downstream access point to another blind end point. Therefore, CIPP is considered a trenchless technology where little to no digging is involved. This makes CIPP more cost-effective and less disruptive method compared to traditional dig and replace pipe repair methods. CIPP does not require any excavation to rehabilitate a pipeline that is structurally unsound. Larger pipelines need excavation for proper installation and small pipelines are reinstated using hands. CIPP is also used to repair pipes with bends, therefore, they need designs to prevent wrinkling and stretching. Using CIPP effectively reduces infiltration and leaks in pipeline systems without digging. Asia’s cured-in-place pipe (CIPP) market is primarily split into types such as inversion type and pull-in type. Cured-in-place pipe (CIPP) is majorly used in municipalities, utilities, industrial use and others areas. Geographically, Asia cured-in-place pipe (CIPP) industry is spread across China, Japan, India, Korea, Saudi Arabia and other regions. The leading players in the Asia cured-in-place pipe (CIPP) industry are Ashimori Industry, iMPREG GmbH, Insituform Technologies Inc, Inland Pipe Rehabilitation (IPR), Layne Inliner, LLC, Norditube Technologies SE, Perma-Liner Industries LLC, Reline Group, SAERTEX MultiCom GmbH and Seksui Americas SPR, LLC. Asia accounts for a largest share in cured-in-place pipe (CIPP) market due to more consumption. The demand for cured-in-place pipes (CIPP) is anticipated to drive the demand in the developing economies such as India and China. Asian governments spending on better infrastructure and developing construction sector are the major factors driving the cured-in-place pipe (CIPP) industry. The rising demand for cured-in-place pipe (CIPP) is anticipated to drive the Asian market at a faster pace in the next few years.